I love love the first sweet bite of a just-picked cantaloupe? 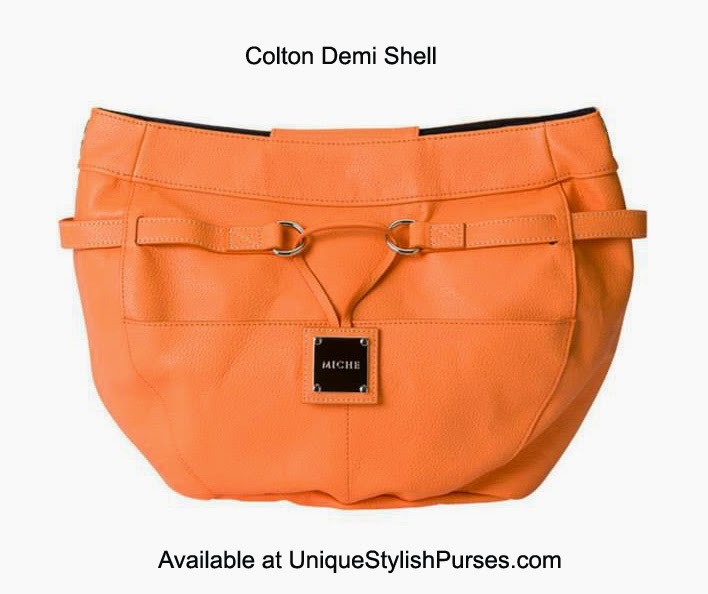 The Colton for Demi Miche bags features pebble-grain textured faux leather with illusion band detailing and chic drop plate logo. Silver hardware; rectangular bottom; two flat front pockets.